What Have Periods of Decline Looked Like Over Recent Years and How Long Have Markets Taken to Recover? According to the CoreLogic Home Value Index, national dwelling values were -1.1% lower than their peak in May 2018. The declines were primarily driven by recent weakness in the Sydney and Melbourne housing markets however, a number of other cities also have values which remain below their peak. This week’s blog presents the recent periods in which dwelling values have fallen across each capital city and how long values have taken following these falls for values to eclipse their previous peak. There have been a number of periods of decline in Sydney over the past 38 years with the greatest fall recorded between 1988-91 when values fell by -11.6% in 28 months. Following that period of decline it took 65 months (until 1994) for values to eclipse their previous peak. Other downturns have typically resulted in more moderate falls in values and a much quicker recovery to the previous peak. 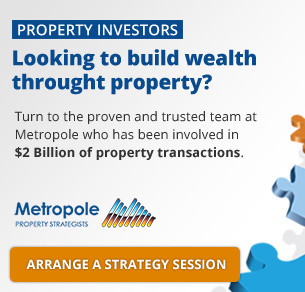 Over recent years, Melbourne has seen six periods of sustained downturn in dwelling values, the largest of which was between 2008 and 2009 in which values fell by -9.4% in 12 months. 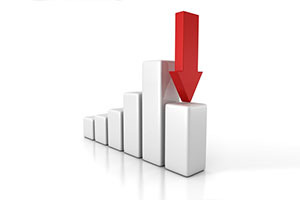 The longest downturn was between 1989 and 1992 in which values fell -8.3% over three years. This downturn was also the one which resulted in the longest period for values returning to their previous peak with values remaining below their peak for 91 months between 1989 and 1997. Although Brisbane dwelling values currently sit at a peak, there have been four recent periods of decline, the largest of which between 2010 and 2012 saw values fall by -10.6% from their peak. This same downturn resulted in the longest period in which values were below their peak, stretching for 61 months between 2010 and 2015. Over recent years, there have been three sustained downturns in values across Adelaide, the greatest of which saw values fall by -8.0% over 28 months between 2010 and 2012. Although values fell by -8.0% in 28 months during this downturn, they remained below their previous peak for 57 months between 2010 and 2015. 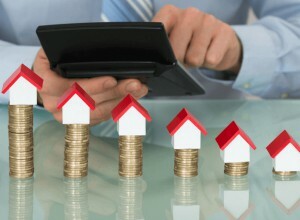 Over recent years Perth has experienced a number of downturns in the housing market. The downturn between 2008 and 2009, although short-lived, resulted in the greatest overall fall in values with a decline of 11.0% in 13 months. The current downturn has seen values fall by -10.8% from their peak which occurred in 2014. Based on the data it will likely take some time for values return to their 2014 peak. Hobart dwelling values are currently rising at a much faster pace than any other capital city in the country. Nevertheless, Hobart has seen a number of periods over recent years in which values have declined. The period between 2010 and 2012 saw the largest of these declines with values falling by -10.5% over 27 months. Following this 27 month decline in values, values took until 2016, 74 months after the peak to return to this peak. The historic data for Darwin is nowhere near as long as it is for other capital cities, nevertheless, over the period there has been two periods of sustained downturns in values. The current downturn has seen values in Darwin fall from their peak by -22.3% over 45 months. Values have increased over the past two months however, they remain a long way (-21.3%) from their previous peak and will take some time to get back to those levels of 47 months ago. 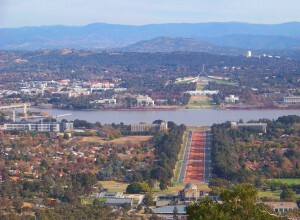 Canberra has witnessed a number of periods in which dwelling values have fallen over recent years. The greatest value declines from the market peak to trough occurred over 35 months between 1994 and 1996 in which values fell by -14.7%. While the declines were greatest between 1994 and 1996, the downturn in which values took longest to return to peak occurred between 2010 and 2016. During this period, values fell by -7.2 from the peak over 51 months and took a total of 75 months to return to eclipse the previous peak. A noticeable trend across most downturns in most cities is that the period in which values decline is generally a lot longer than the period from the maximum decline to the return to the previous peak. What this means is that the rebound following the decline is typically faster than the decline. Of course there are some notable exceptions to this namely Sydney between 1988 and 1994, Melbourne between 1989 and 1997, Brisbane 2010 to 2015, Perth 1994 to 1997, Hobart 2010 to 2016 and Canberra 2003 to 2006. Periods of decline in the housing market are not uniform and as such it is difficult to predict exactly how long values will fall for and then how long a recovery will take. What we do know is that monetary and fiscal policy can impact on the market stopping declines and leading to a rebound, and vice versa. 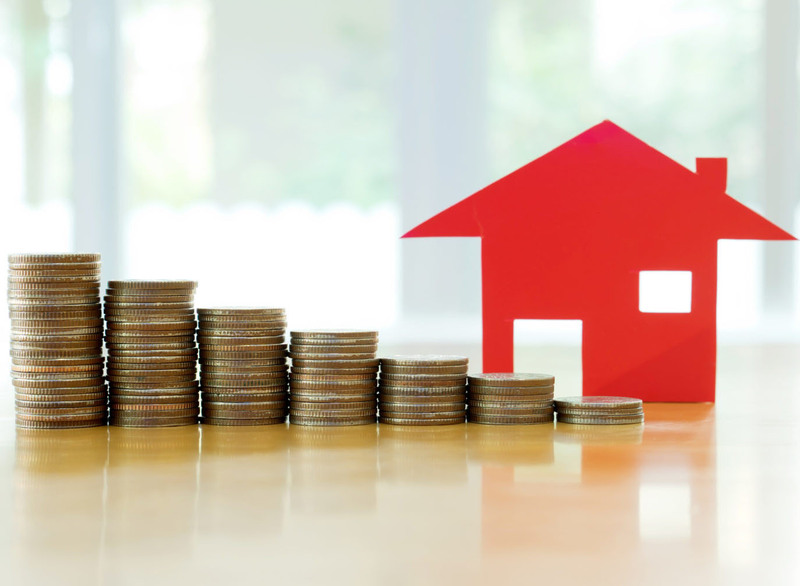 For example in 2008 as dwelling values were falling, the cash rate was cut substantially by the RBA and the federal government introduced the first home buyers grant boost which quickly reversed the declines. In 2010, value falls were bought on by the removal of first home buyer stimulus and higher interest rates, these falls were reversed by cutting interest rates. More recently in 2015-16 values began falling on the back of tighter lending policies, particularly to investors, yet these declines were reversed with two 25 basis point cuts to interest rates accompanied by an improvement in lender appetite for investor loans. Commentary from the RBA at the moment seems to intimate that there is little prospect of a cut to the cash rate and they do seem unperturbed to-date with the declines in Sydney and Melbourne dwelling values. Given this, we expect values to continue to fall over the short-term but movements such as a change in mortgage rates or easing of macroprudential controls could reverse things. Of course, values could also continue to fall for some time and the market could go through a natural correction with buyers returning to the market at the point in which they consider it to be fair value. Only time will tell how this plays out.